Manufacturers of recreational vessels and associated equipment that discover or acquire information that the manufacturer decides, in the exercise of reasonable and prudent judgment, indicates that a recreational vessel or associated equipment subject to an applicable regulation prescribed under section 4302 of title 46 U.S.C. either fails to comply with the regulation, or contains a defect that creates a substantial risk of personal injury to the public, the manufacturer shall provide notification of the defect or failure of compliance as provided by subsections (c) and (d) of section 4310 within a reasonable time after the manufacturer has discovered the defect. Each manufacturer who is required to furnish a notice of a defect or failure to comply with a standard or regulation under 46 U.S.C. 4310(b), shall furnish that notice within 30 days after the manufacturer discovers or acquires information of the defect or failure to comply. For more information on the rules implementing 46 U.S.C. 4310 please see 33 CFR 179. Forms may be found on the Coast Guard's Directive and Publications Division Website at http://www.dcms.uscg.mil/Our-Organization/Assistant-Commandant-for-C4IT-CG-6/The-Office-of-Information-Management-CG-61/Forms-Management/CG-Forms/ or entering the form numbers into a web search engine. 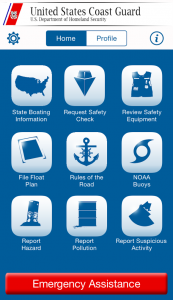 A database of safety defects and non-compliance in recreational boats and associated equipment. Submit your own report of suspected safety defects.